As I have mentioned at the end the year that 2018 proved to be one of the most challenging year in my life. This year 2019, however, will be quite different because I will definitely earn everything back. All catastrophes happened even though they were not within my earlier plan, but later on they were all within my expectation. After spending sometimes today writing up (during my personal holiday) about what will be my next step? I thought of Reversi [or famously known as Othello]. Because one strike at the very end of the game, may make whoever seems to be loser take all wins. So it might be good to write about this Board Game to remind me of what I am doing right now. 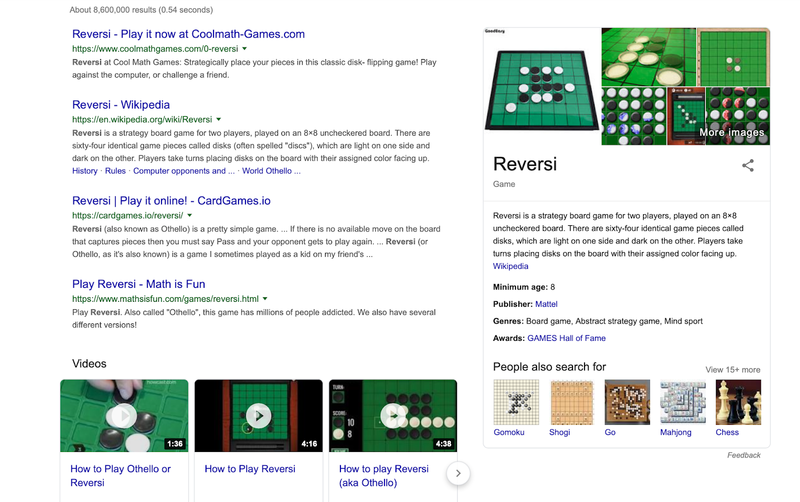 Reversi is a strategy board game for two players, played on an 8×8 uncheckered board. There are sixty-four identical game pieces called disks (often spelled "discs"), which are light on one side and dark on the other. Players take turns placing disks on the board with their assigned colour facing up. During a play, any disks of the opponent's colour that are in a straight line and bounded by the disk just placed and another disk of the current player's colour are turned over to the current player's colour. The object of the game is to have the majority of disks turned to display your colour when the last playable empty square is filled. Reversi was most recently marketed by Mattel under the trademark Othello. It is one of the greatest strategic board game which could be applicable in everyday life as well.